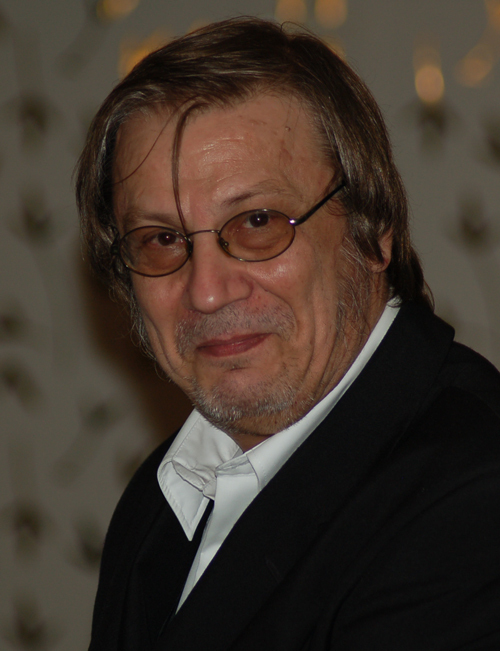 The BCPS is sad to report the death of endgame study composer Mario Matouš. 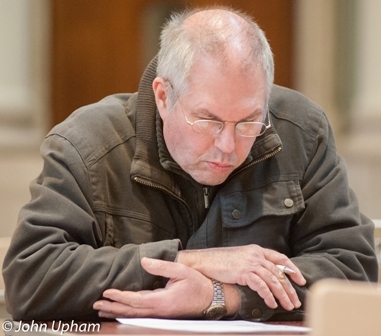 Emil Vlasák has written an obituary, which is posted at the The John and Sue Beasley WebSite (click on Orthodox Chess, then on Endgame studies). Dedicated to the Royal Baby Prince George of Cambridge. 2013/07/23 – Congratulations Roddy McKay! 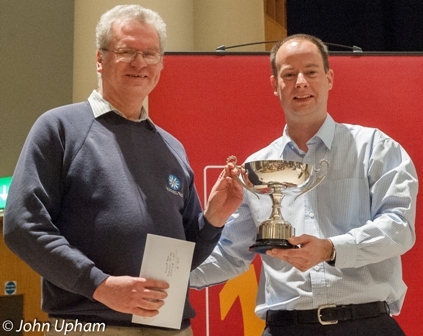 Our heartiest congratulations go to BCPS member Roddy McKay, who annexed his 8th Scottish Chess Championship title! As the highest scoring Scot in the international open event as well as being over 55 years of age, Roddy also took the Scottish Seniors title outright. This is a marvellous record for the amateur International Master, who first won the Scottish title all of 42 years ago. 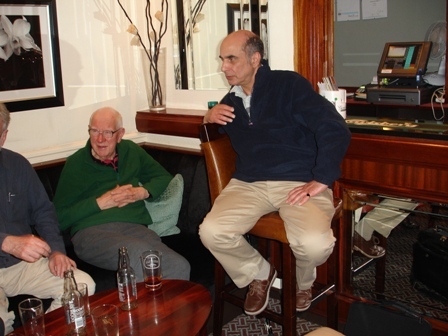 Roddy is also a strong solver, regularly turning in good scores in the annual British Solving Championship and occasionally achieving selection as a member of the British team in the European and World solving championships. He is an excellent example of someone who can derive pleasure – as well as success – from chess compositions as well as playing the game, also combining these with work and family. A teenage Roddy (second from left) as a member of the Scottish Glorney Cup team of 1970, the year before he won his first national title. 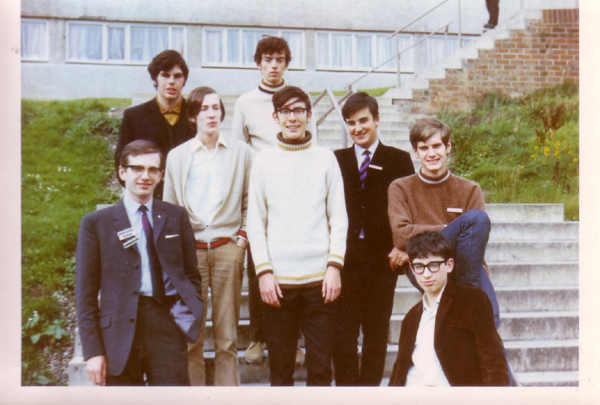 The photo also features a young Christopher Jones (third from right, with striped tie), and in the centre of the photo, another composer and solver, Iain Sinclair, who represented Great Britain in the WCSC of 1981. Photo: Chess Scotland. Problemist Editor David Friedgood pays attention. Stewart Crow seated in the corner. BCPS President Ian Watson (foreground) listens carefully. 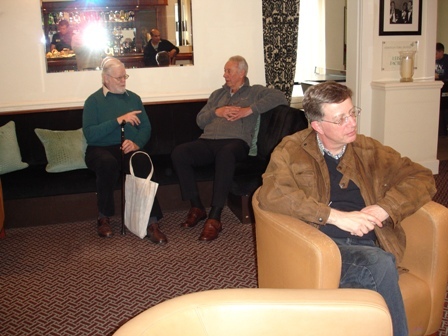 Colin Sydenham (on the left) and Barry Barnes deep in conversation about anapestic and amphibrachic meters. 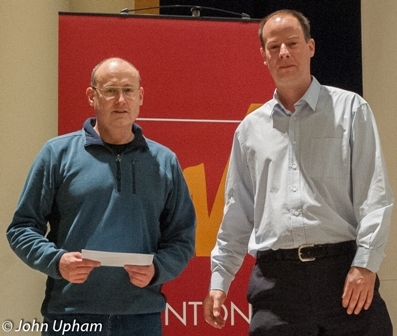 Here are some photographs (courtesy of John Upham) of the prize presentations by Winton Capital’s Gordon Brown at the final of the Winton Capital British Chess Solving Championship, 2012-2013. More photographs can be found here. 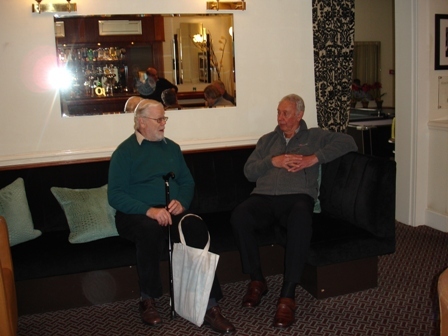 1st Prize – Colin McNab. 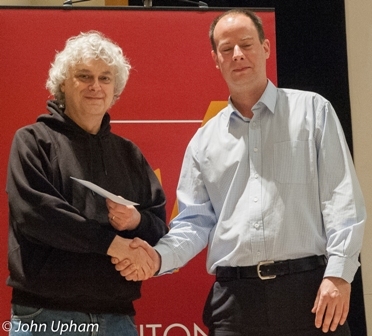 2nd Prize – John Nunn. 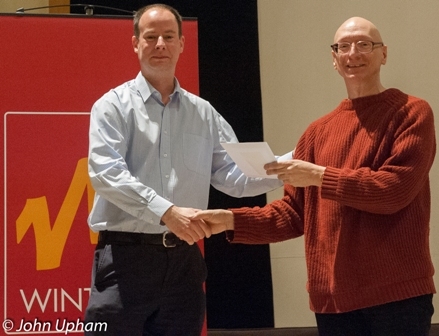 3rd Prize – Eddy van Beers. 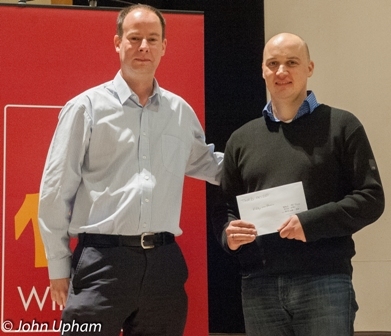 4th Prize – Jonathan Mestel. 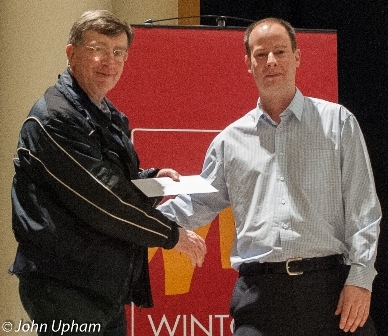 5th Prize – Ian Watson. 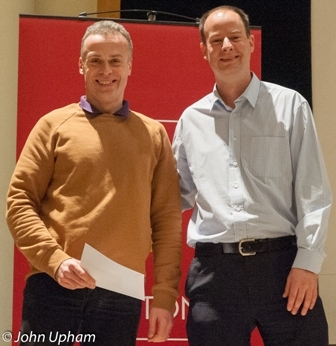 6th Prize – Michael McDowell. Highest placed new finalist – Mark Jones. With the sadly premature death of Serbia’s Milan Velimirović the problem world has lost one of its great exponents and promoters. 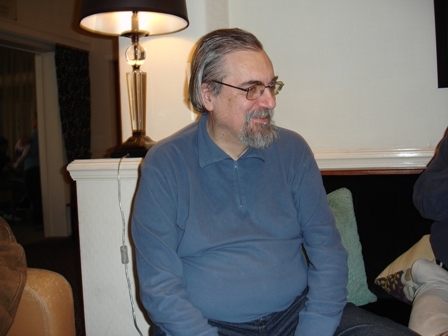 Emerging as one of the most prominent of a group of talented composers based in Belgrade in the late 1960s, he was greatly influenced by Miroslav Stošić, who died in 1975 at the age of 25, and whom Milan regarded as an elder brother. 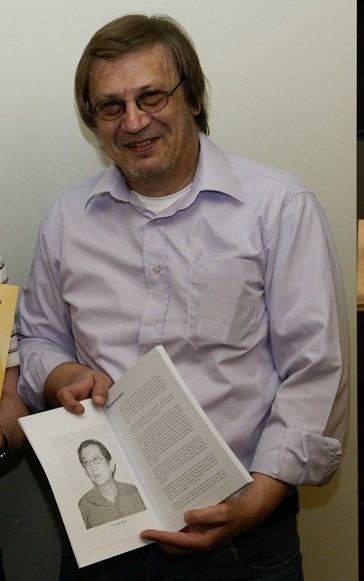 A Grandmaster for both composition and solving, editor of the top class magazines Mat and Mat Plus, the author of a number of important contributions to chess problem literature, director of solving events, and the driving force behind the Mat Plus website, Milan’s enthusiasm for chess composition knew no limits, as those who had the pleasure of meeting him at problem meetings could testify. I was privileged to work with Milan on the collection of problems by Touw Hian Bwee, where his appreciation of chess artistry is evident in his erudite commentary. I urged him to produce his own collection, but his response was that he still had a lot of composing to do. Now that will be a job for others. Like many people he had formal employment (as a computer programmer) which paid the bills, and an abiding passion which lay elsewhere, on the 64 squares. His books, his magazines, and especially his wonderful problems will be his memorial. Six changes effortlessly achieved in an open setting. Milan with the Touw Hian Bwee book. Taken at Jurmala, 2008. (Photo: Franziska Iseli).